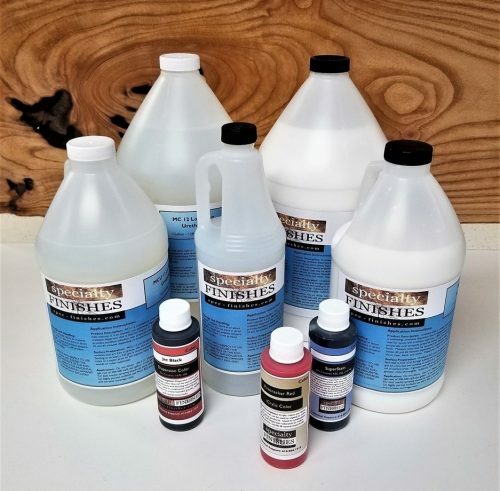 We offer Odie’s Oil’s complete line of high quality oils, waxes & other finishes ideal for wood, concrete and other substrates. 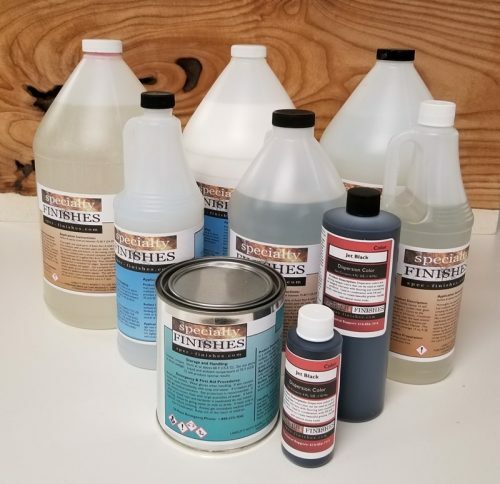 Odie’s Oil is a solvent free, non-toxic, food safe, one coat, wood finish and stabilizer that can be used for all interior and exterior applications. It contains no chemicals, hardeners or driers. It contains no “fillers” or low quality refined oils to thin down the product to make it cheaper to manufacture. Each ingredient in Odieʼs Oil is sourced for purity and quality to ensure its effectiveness in the Odieʼs Oil secret formula. The raw materials are then blended in a proprietary, handmade process that ensures an effective and superior finish and stabilizer. Odie’s Oil has a creamy, pale amber color and a honey-like consistency with a pleasant odor and no harmful VOCs. 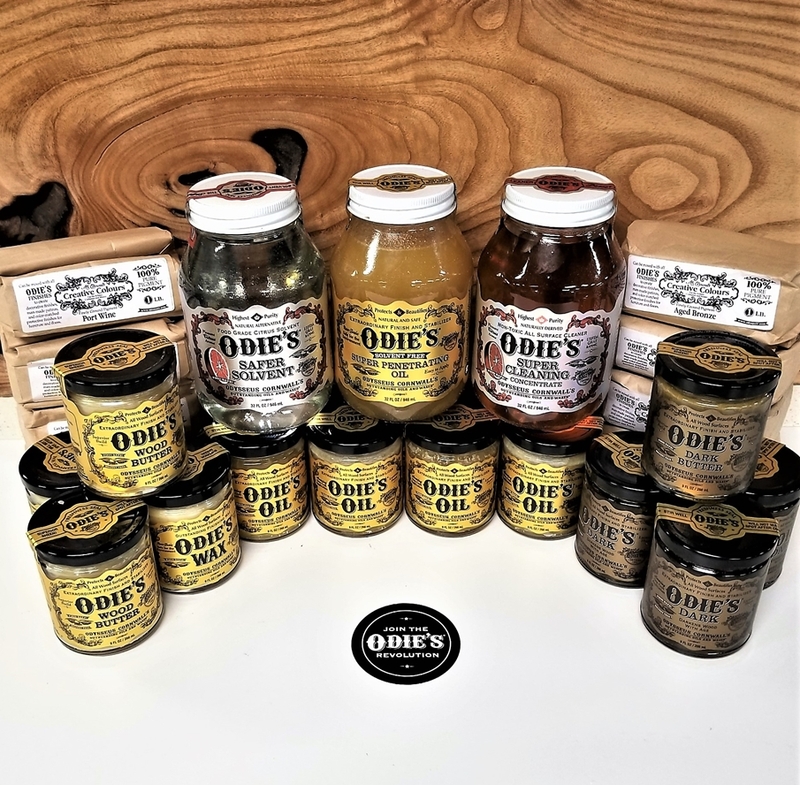 Other Odieʼs Oil products include Odieʼs Wax, Odieʼs Wood Butter, Odieʼs Oxi Oil, Odieʼs Dark and Odieʼs Safer Solvent. We have developed a terrific cleaning concentrate that makes cleaning and maintenance a snap! We will be rolling this exciting new product out soon. We also have natural pigment stains in the works. 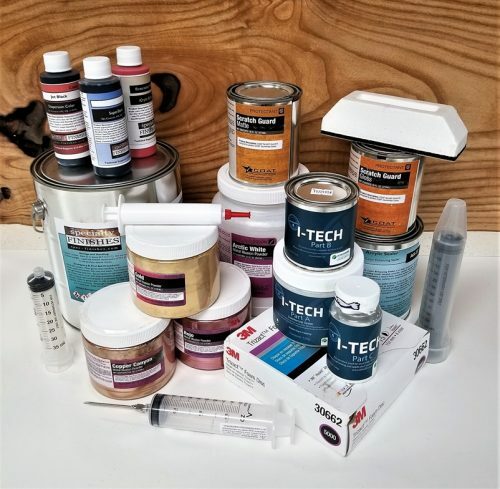 We offer Odies Oil’s complete line of high quality oils, waxes & other finishes ideal for wood, concrete and other substrates.